The worlds oldest figurative artwork, which was discovered in Borneo, is at least 40,000 years old. The world’s earliest-known cave painting of an animal has been discovered on Borneo in Indonesia. It dates back to at least 40,000 years ago, a new study says. The drawing is even older than the famous images of animals found in France and Spain. It was spotted in a remote cave by a team of archaeologists from Australia and Indonesia. The paintings are more than 4,000 years older than the previous record holders on nearby Sulawesi, according to Science magazine. The meaning of the animal is unknown, Aubert said. “We think it wasn’t just food for them – it meant something special." 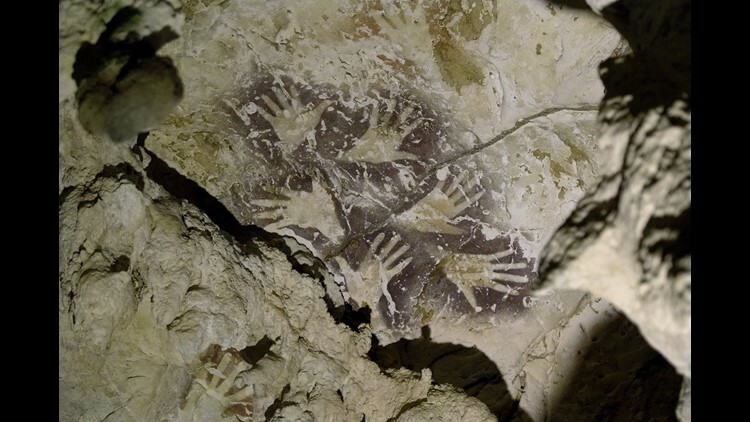 In addition to the animal drawing, which is about 5 feet wide, scientists also found red- and purple-colored hand stencils and cave paintings of human scenes. These remote caves on Borneo have been known to contain prehistoric drawings since the 1990s. 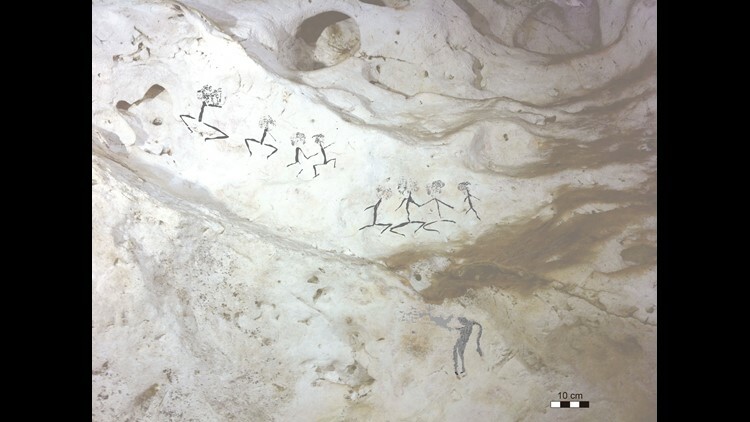 Paintings of human figures were discovered in a cave in East Kalimantan on Borneo, Indonesia. The figures were drawn anywhere from 13,600 to 20,000 years ago. 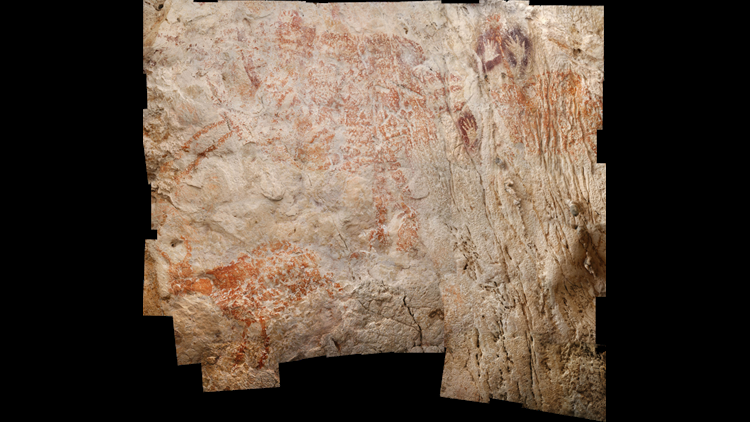 This finding adds to the mounting view that cave art – one of the most important innovations in human cultural history – did not arise in Europe as long believed, and that artists in Southeast Asia played a key role in its development. Humans began to create art in caves at a similar time in remote corners of the Ice Age world, the researchers said. "Whether this is a coincidence, the result of cultural convergence in widely separated regions, large-scale migrations of a distinct Eurasian population, or another cause remains unknown," the study said. Rock art expert Adhi Agus Oktaviana, another author of the study, said that “the new findings illustrate that the story of how cave art emerged is complex." However, “who the ice age artists of Borneo were and what happened to them is a mystery,” noted study co-author Pindi Setiawan, an Indonesian archaeologist. Mulberry-colored hand stencils are superimposed over older, reddish/orange hand stencils in this Indonesian cave art.